The San Jose Sharks ended their most recent road trip with a 3-2-1 record. After winning last night they are 10-8-1 overall, not significantly different from last season’s 10-8-0 start. Throughout the early season, one thing is certain, the Sharks are boring. The mediocre start is something to keep an eye on, not a reason to panic. The Pacific Division appears to be the weakest in the league with only one team having a positive plus/minus and all the teams are playing as mediocre as the Sharks. But the Sharks have historically struggled financially despite a rabid fan base, and they could suffer a reduced attendance similar to last season before they got hot at the end of the year and in the playoffs. Recent games have seen many fans disguised as empty seats, despite announced crowds at or near capacity. Further evidence of ticket sale challenges is apparent throughout the Bay Area media as the Sharks are mass advertising special ticket promotions that include discounted ticket prices with food vouchers for each ticket purchased. This is not exactly how the team hoped to leverage its first Stanley Cup Final appearance. 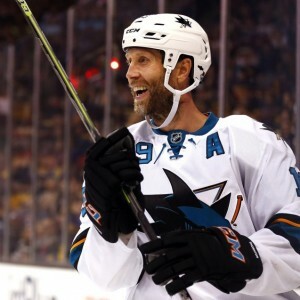 Why are the Sharks boring? There are several reasons. First and foremost is the team’s lack of scoring. While the Sharks average just over 30 shots on goal per game (after 30.4 last season), the offense is scoring just 2.28 goals (25th in the league) per game — not exciting at all. While league-wide NHL scoring is flat compared to last season, the Sharks are .5 goals worse per game (2.77 through 18 games last season, 2.89 for the full 2015-16 season). Also, although the number of shots on goal per game by the Sharks is about the same, the quality of those shots is down because the number of goals scored is down. Quality scoring chances make for exciting hockey. Sharks games also have a combined scoring rate of 4.61 goals in 2016-17. That is well below the 5.33 NHL average for goals per game. Fewer goals and less scoring chances make for more boring hockey. Add the fact that the Sharks are 27th in the league in hits and are only tied for 19th in power play opportunities (the Sharks are tied for the league lead in fewest times shorthanded), the Sharks are neither a physical team nor playing a style of play that draws penalties. Another reason for the boring play is that the team has taken on the personality of their coach, Pete DeBoer, as easy going and not overly emotional. Last year during the Sharks’ playoff run, Logan Couture described his coach to Greg Wyshynski of Puck Daddy as having “a calmness on the bench. You can’t tell if we’re up two or down two. Everything is even-keeled.” DeBoer’s personality and the increased number of optional practices DeBoer has as compensation for the Sharks’ crazy travel schedule are in sharp contrast to his predecessor Todd McLellan’s mandatory practice schedule. When coaching the New Jersey Devils, the New York Post’s Steve Serby asked DeBoer what he wants in his team’s personality. The coach answered, “hard-working, honest, and that we win or lose with class.” This is not a call for a coaching change in any way. I believe that being hard-working and honest in the face of success and adversity is a great way to go through a hockey season and life overall. However, right now this mantra is making for some very boring hockey.